Run large-scale, data intensive, interactive multi-scale brain simulations up to the size of a full human brain. Manage complex workflows comprising concurrent simulation, data analysis and visualisation workloads. The pilot systems JULIA and JURON have been designed based on the requirements of neuroscience research. They are available since Autumn 2016. At the same sites, a data infrastructure is being built that allows scientists to store, process and share their large datasets with others. The visualisation tools can be used locally or using high-fidelity systems in Aachen, Germany and Geneva, Switzerland. This website is still under construction. 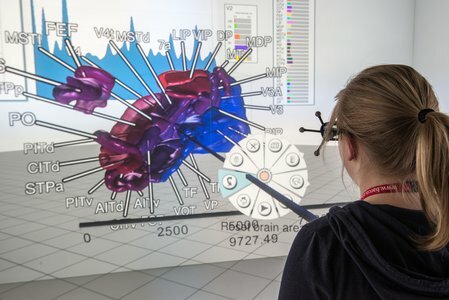 More details are available in the HPAC Platform Guidebook (hbp-hpc-platform.fz-juelich.de) and in the HPAC Platform Collab (https://collab.humanbrainproject.eu/#/collab/264).